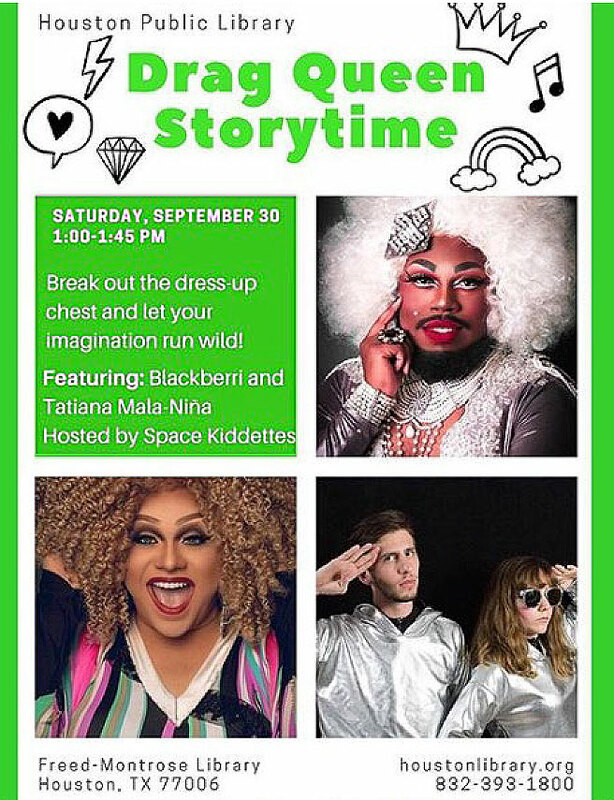 In an open letter published by Houstonia magazine, the organizers of Houston’s Drag Queen Story Time said they are shuttering the controversial program after recent news that one of their readers had previously sexually assaulted an 8-year-old child. Their long letter consists mainly of them whining about how they’re the real victims in this situation and not the children their grooming. Houston Public Library has not wavered in their support of Drag Queen Story Time, which we are extremely grateful for. But ourselves and our library team believe it is time to step away and not continue with the program in March or for the foreseeable future. What started as a fun community event shared between us, a couple of drag queens and kings, and a few families has become a national controversy. People are being threatened. People are being hurt. We believe in what we’re doing, but we don’t believe in putting our friends, our families, or our children in danger. If another person or persons wants to continue our effort or host their own event at some point down the line, they have every right to do so, and it’s likely somebody will. Homosexual activists are carrying out similar grooming events throughout the country. Transgender athletes are now becoming commonplace around the world, but Mike Adams newest report reveals the negative consequences of this change.